When ordering Conners 3 Rating Scales. Conners Adult ADHD Rating Scales, Children's Depression Inventory 2, Gordon Diagnostic System, or Test of Variables of Attention (TOVA) the purchaser must complete a Qualification Form. Complete an Online Qualification Form and submit it electronically for fast results. Your form will be reviewed the next business day and qualified orders will be processed immediately. Designed to help educators and health care professionals assess whether a child or adolescent has symptoms characteristic of attention deficit disorder. Designed to help health care professionals assess whether an adult has symptoms characteristic of attention deficit disorder. 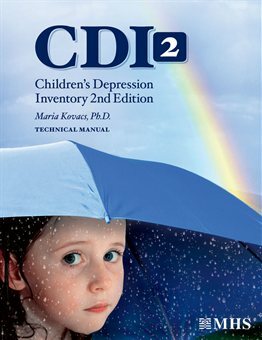 Children Depression Inventory 2 (CDI 2) Manual. 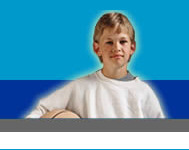 Children's Depression Inventory 2 (CDI 2) Self-Report Regular Form. Ages 7 to 17. Contains 28 Items. 2nd grade reading level. 25/pkg. Children's Depression Inventory 2 (CDI 2) Self-Report Short Form. Ages 7 to 17. Contains 12 items. 2nd grade reading level. 25/pkg. 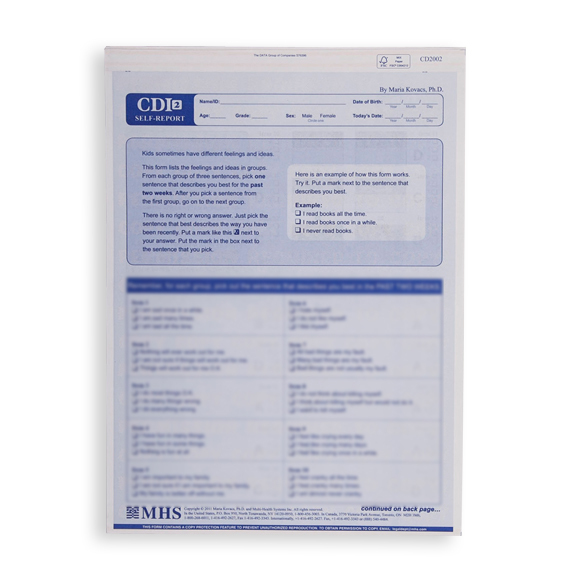 Children's Depression Inventory 2 (CDI 2) Parent Response Form. Ages 7 to 17. Contains 12 items. 25/pkg. Children's Depression Inventory 2 (CDI 2) Teacher Response Form. Ages 7 to 17. Contains 12 items. 25/pkg.